What if you could enjoy your garden year-round, from the comfort of your home or the comfort of your new outdoor space! You can, and it doesn’t have to break the bank. You can get professional services to help you achieve your garden dreams with the click of a button. Read on to find out more! How much does landscape gardening cost? What are the benefits of garden landscapers? The best question to ask prospective landscape gardeners is “how long have you been doing this job for?”. The second best question is “what is your area of expertise in landscape gardening?”. Getting the answers to these queries will tell you a lot about the quality of work you can expect, as well as the area the professional will best perform in. You may want to employ an expert horticulturalist for one area of your garden, and a construction specialist for your patio. Ask these questions and get the best out of your hired professionals! While it is not a strict requirement that a landscape gardener has qualifications to get the job done – experience is of the utmost importance here – depending on the project you want doing, you may want to look for one that does have a specific qualification. Often this would be in horticulture. A horticulturalist will be able to advise you on your planting and maintenance strategy with great precision. Ask your gardener which qualifications they have, to see which area they would be best suited advising you in. As a lay person, outside of the industry, you may not know about the latest and greatest trends in materials or design when it comes to your garden. And no, browsing Pinterest does not count as research. While you may come to the table with plenty of ideas and inspiration, only a professional will be able to assess your situation objectively and tell you what will work and what, frankly, will not. Find a landscape gardener you trust and discuss your ideas freely with them. These three things are extremely important to your project being carried out in a cost and time-effective way. Hire a local landscape gardener and gain valuable expertise! 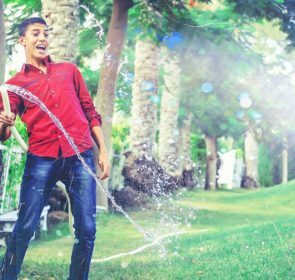 If you are dead-set on doing a lot of the landscape gardening yourself, that is totally fine, and can be done in conjunction with a professional’s’ advice! 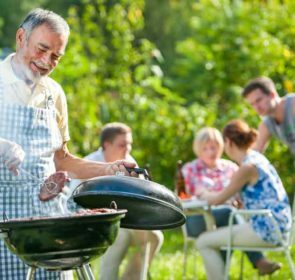 They will have local expertise regarding the annual outdoor conditions in your particular location, so could save you headaches in the long run. Get up to 5 quotes from local gardeners by clicking here, and compare their profiles and reviews to find your ideal professional to work with! How to do landscape gardening? 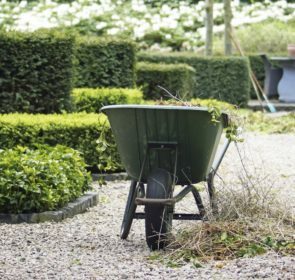 The depth and breadth of service offered by a landscape gardener vary according to the number of years they have been in business and their particular specialisation. Make sure to shop around and find the right landscape gardener for you, who will be able to do the best possible version of your dream project. Find a garden landscaper near you! 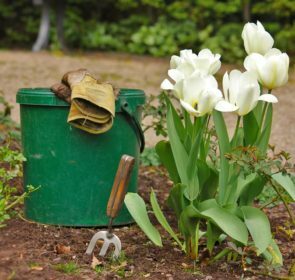 You don’t have to shop around online and waste a Saturday morning comparing websites and services from gardeners. Compare up to 5 gardeners with a click of your mouse. Start by entering some information here, and you will be able to see all about local landscapers who will help you get the job done. It’s super easy and could save you up to 40% on your project, as our other customers have done!